This prophetic but well-documented 2012 IPPY-award winning book will show you what is happening with American employment. 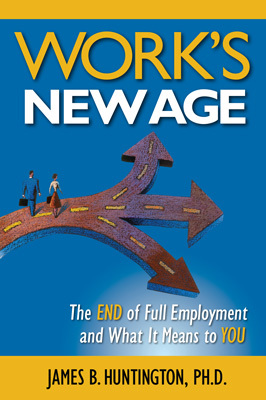 Whether you are retired, "between jobs," or have a secure career, this book will alert you to changes that will affect you in the years and decades to come. 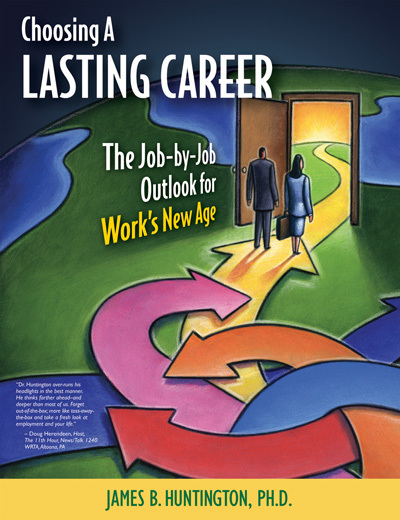 The 2013 book revealing a detailed, multiple-perspective look at the jobs and careers most worthwhile for the next 20 years, filling the gap between personality career assessment and the tactics of job-seeking. Mouse over these three tabs on the left for additional pages. In its fourth year! 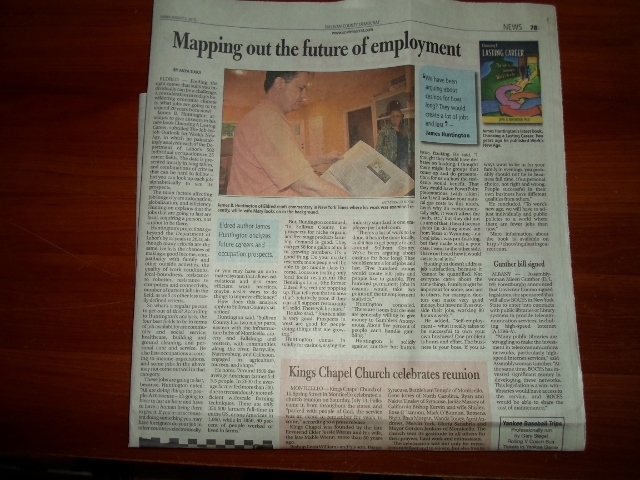 The Royal Flush Press radio show, WORK SHIFT, "A Finger on the Pulse of Jobs in America," airs every Wednesday from 10:00 to 10:05 AM Eastern Time. Hear commentary by James B. Huntington on jobs and the economy as they pertain to current events. It is broadcast on WJFF 90.5 FM, a PBS affiliate in Jeffersonville, New York, and streams online at www.wjffradio.org , so you can listen to it wherever you are! Podcasts of previous episodes are also available, on the WJFF "Audio Archive" tab. Check out the Work's New Age BLOG! Look for new posts once a week, usually on Friday mornings. It's at http://worksnewage.blogspot.com/, or at the bottom of the menu on the left. The Nationwide Radio Tour is underway! Click on the tab near the upper left for the schedule, for links to listen from anywhere, and links to podcasts. Work's New Age in the New York Times... TWICE! "Invitation to a Dialogue" on Wednesday, May 15th, and "Sunday Dialogue" on Sunday, May 19th! The website is www.nytimes.com, and the two pieces appeared on the op-ed pages in the hard-copy paper as well. 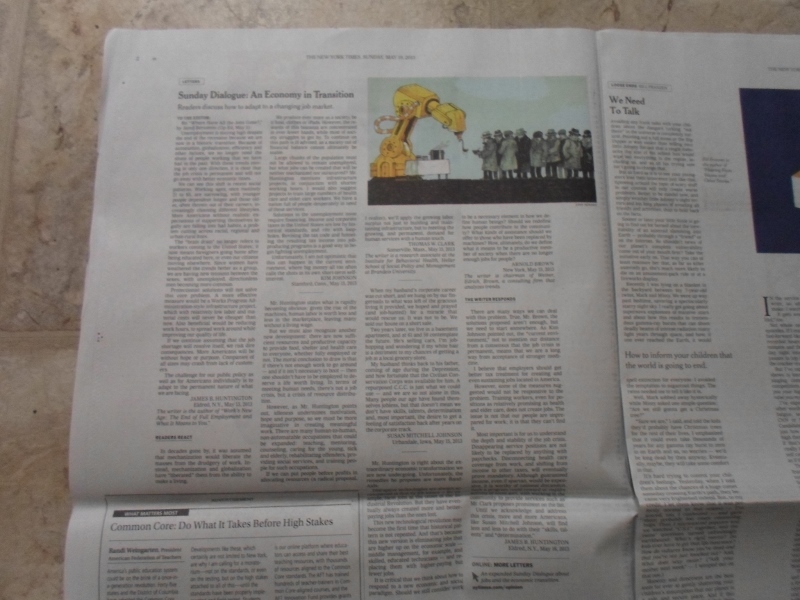 See the complete Sunday package online, at http://www.nytimes.com/2013/05/19/opinion/sunday/sunday-dialogue-an-economy-in-transition.html? .